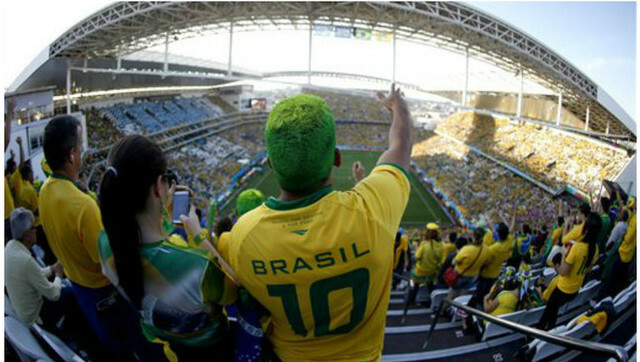 BRAZIL 2014: The Best World Cup Ever? In the lead-up to the 2014 World Cup, there were fears that the event would be a disaster. Would the stadiums be finished in time? Could the teams face the steamy tropical heat of northern Brazil? Would pollution and protests mar the games? Well, according to FIFA, the 2014 World Cup isn’t a disaster. In fact, they’re calling it the best World Cup…ever. Brazil 2014 may have had organizational glitches, but it is shaping up to be the best on-field World Cup thanks to the exciting soccer being played, FIFA general secretary Jerome Valcke said on Tuesday. Even before the 32-nation tournament enters the quarter-final phase this week, more goals have been scored than at the previous World Cup in South Africa in 2010. A pretty bold statement…considering the tournament isn’t over yet.